We’ve seen several music events held at breathtaking venues around the world that we all wish we could attend. From sunny beaches on the California Coast to the French Presidential Palace, where’s the next big event happening? Secret Solstice, Iceland’s premiere Midnight Sun Music Festival is returning for its 6th edition this June. Festival-goers will have the chance to see their favorite artists play 80 feet below the surface in Iceland’s second largest glacier, Langjökull. Martin Garrix and Marc Kinchen will host Into the Glacier, where they will literally be DJing within the crystal glacier. Garrix will play Friday, June 21st and Kinchen on June 23rd. While listening to music, attendees are free to explore over 500 meters of natural paths, once carved by glacial ice. Each event is limited to only 100 tickets. If you’re not into glaciers and ice, you weren’t forgotten. Secret Solstice will also be hosting a second event June 22nd called: The Lava Tunnel (above). 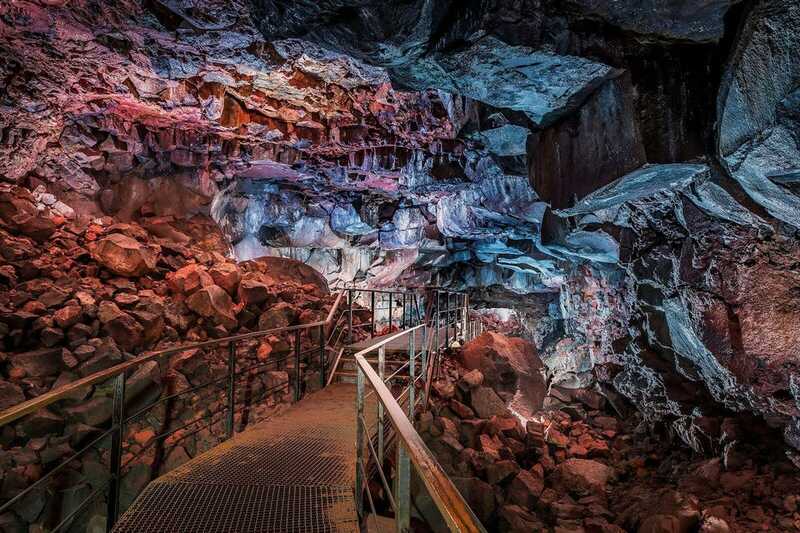 As the name describes, festival goers will be able to explore their way through a 5,200 year old lava tunnel (named Raufarhólshellir), all while enjoying a once in a lifetime music experience. Obviously, the lava is long gone but it has left natural cave formations, most of which the world has never seen. Stay tuned for a full line-up for The Lava Tunnel as this event will be limited to 50 tickets! Those looking for a way to celebrate the summer solstice weekend will not want to miss out on this experience. The weekend sees 72 hours of continuous daylight, so why not find an excuse to escape into the darkness? Lastly, let us know what unique location you’d like to see a music festival take place in the future. Tickets are on sale now and can be found HERE.